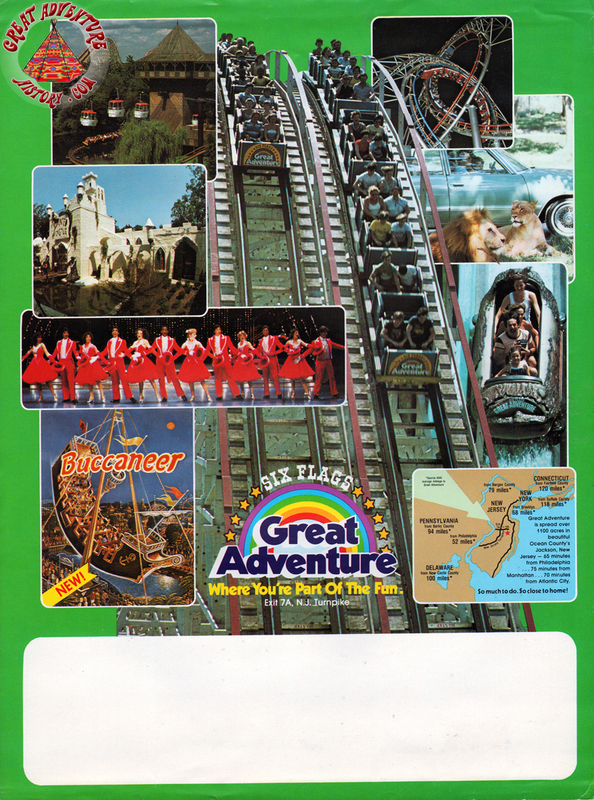 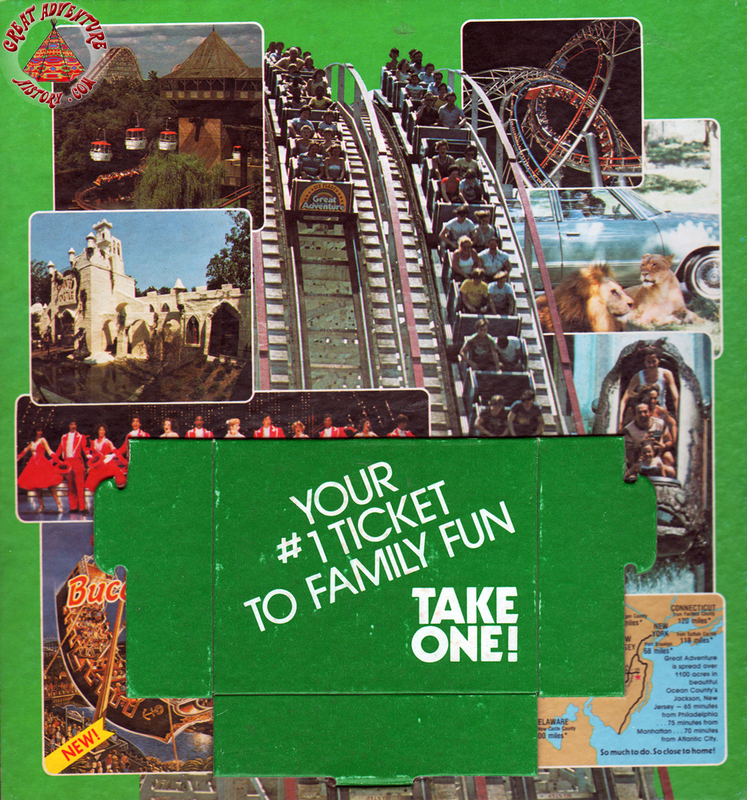 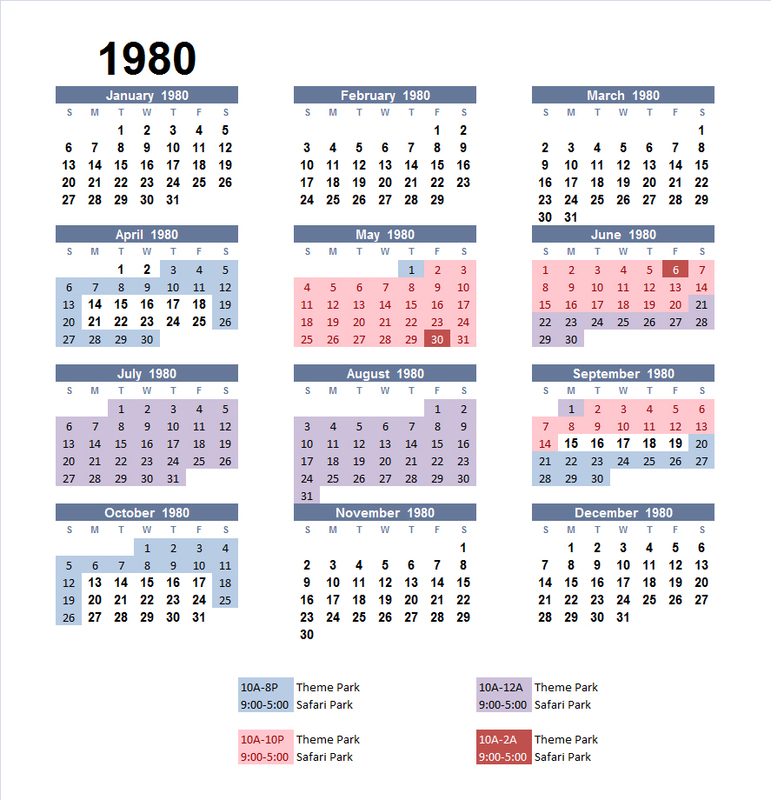 The park actually stayed open until 2AM for the first time in 1980. 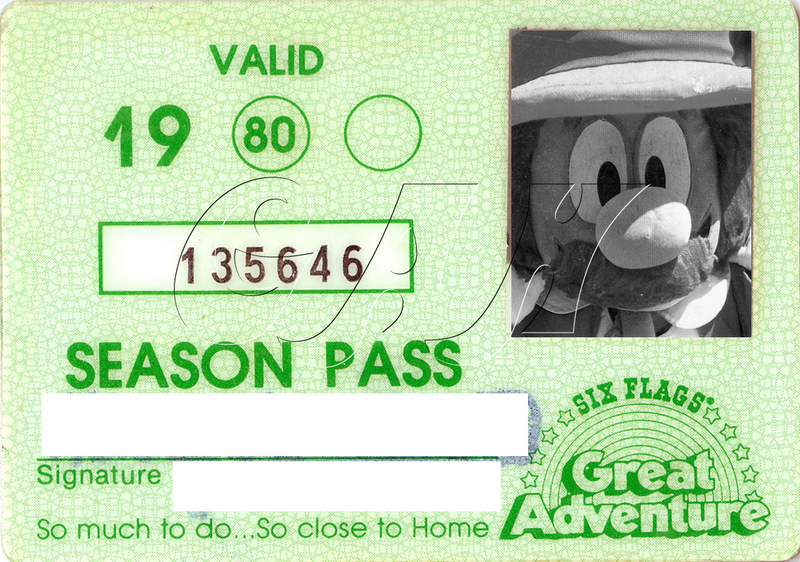 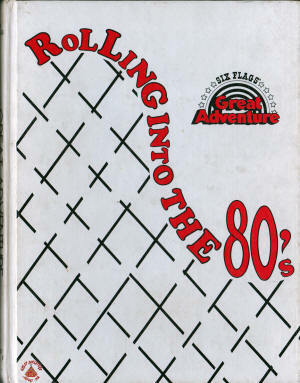 I only did one 2AM night in 1983 and it was THE BEST visit of all my years at the park. 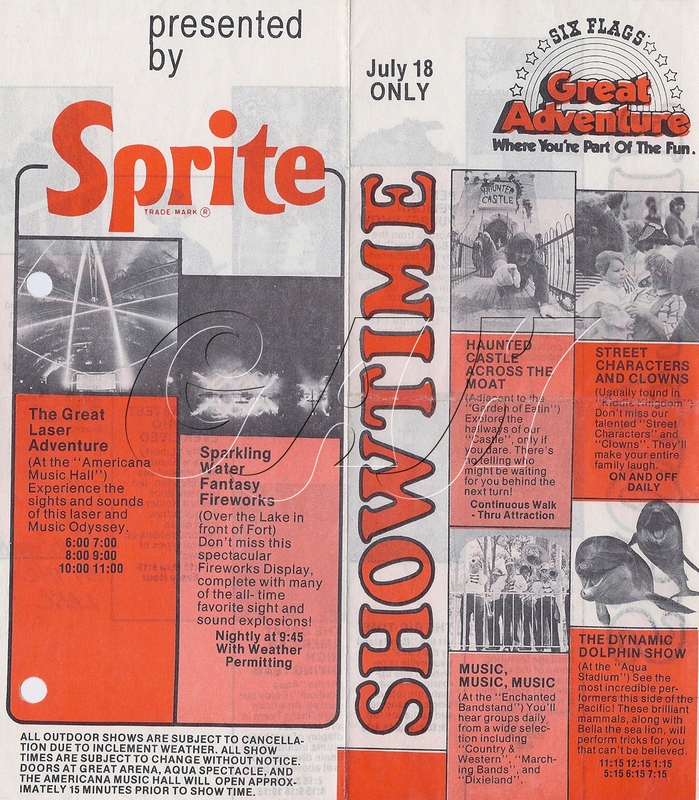 Just added to the 1980 Timeline - an advertisement from TV Guide - May 17, 1980. 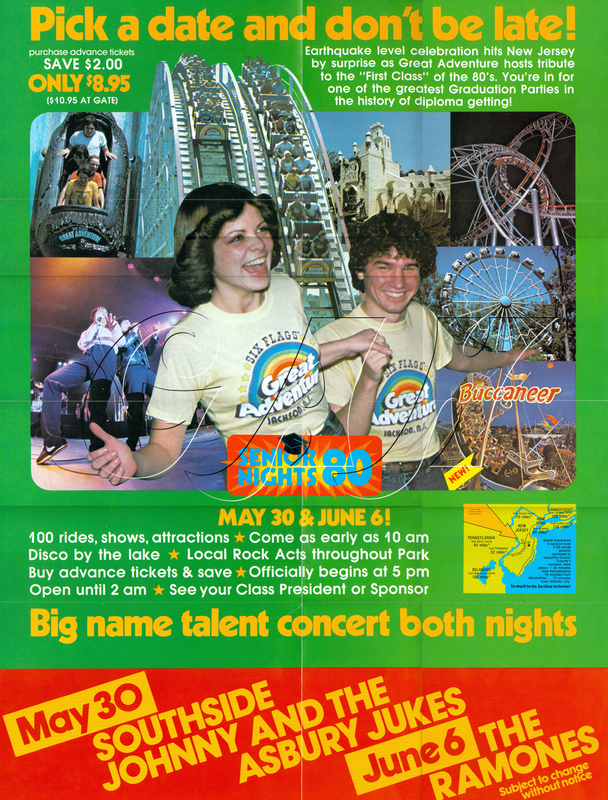 Check out the following photos which illustrate the evolution of a promotional poster from the days when ideas were drawn by hand. 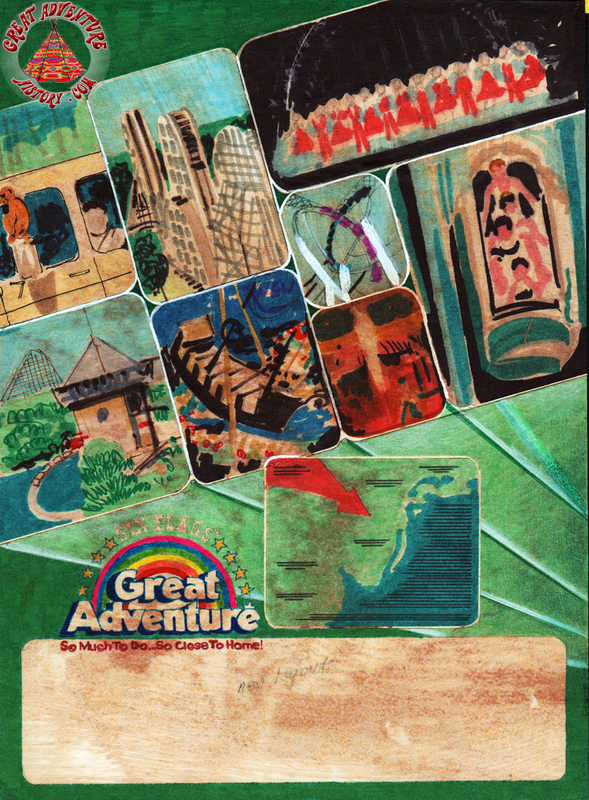 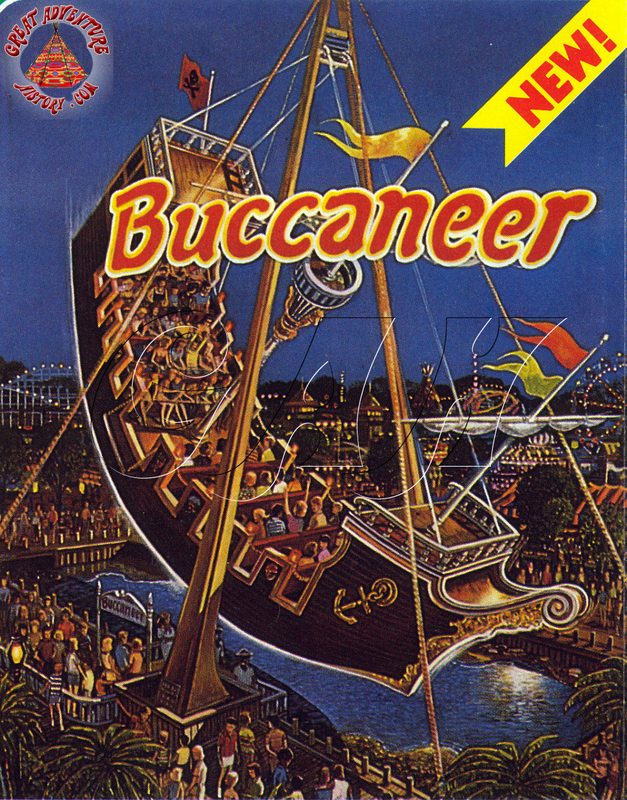 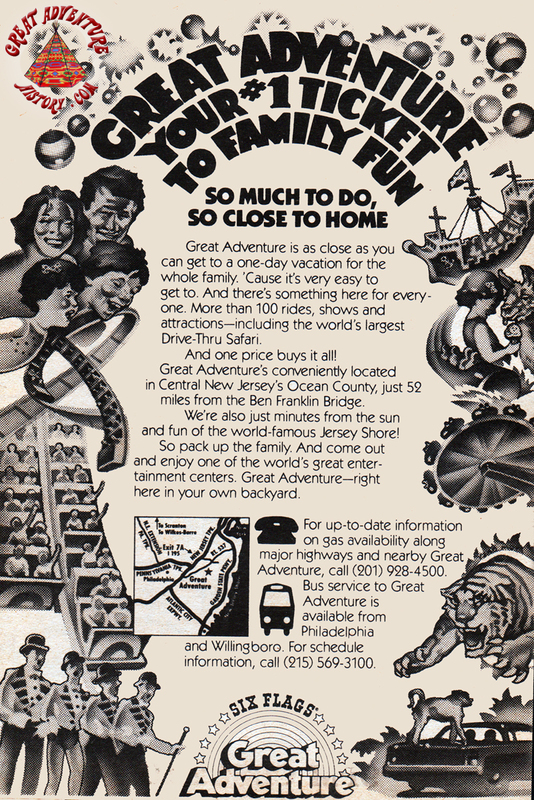 Below is an original layout drawing of a 1980's promo ad created by Dan Inghram from Great Adventure's Marketing and Advertising Department. 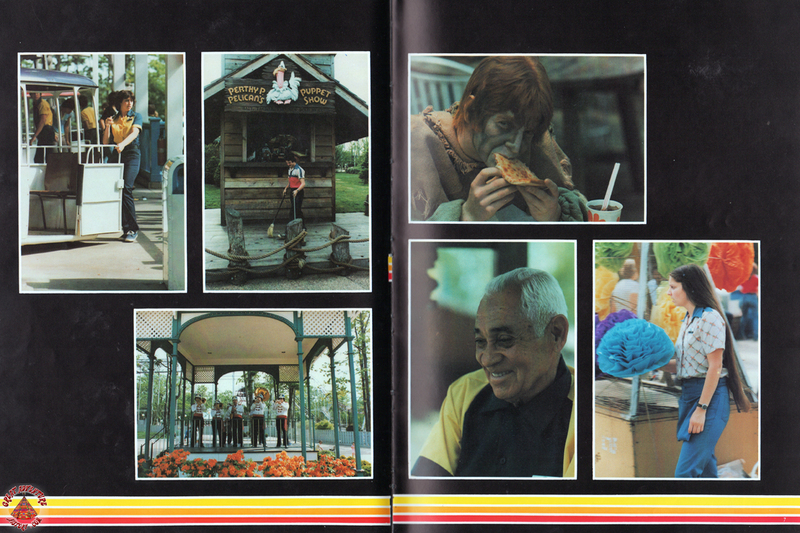 It's cool to see how that idea evolved into the posters and pamphlet counter displays used for that season. 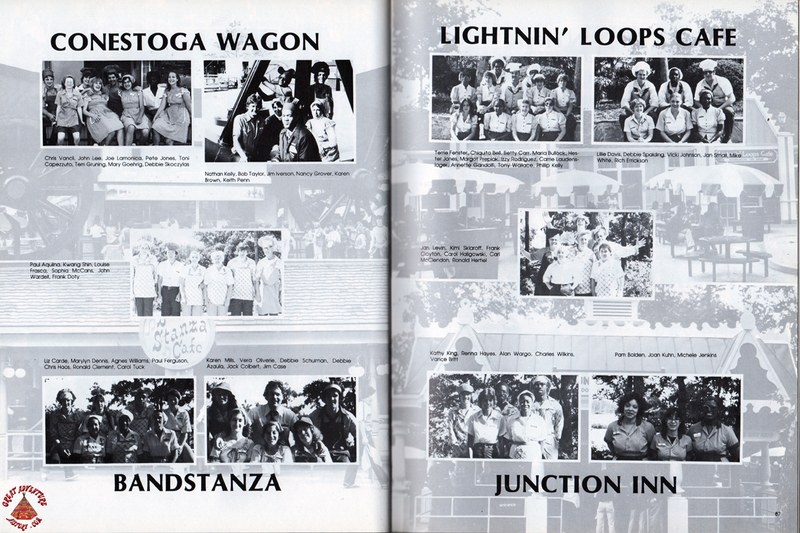 These items have been added to our 1980 Yearbook Timeline. 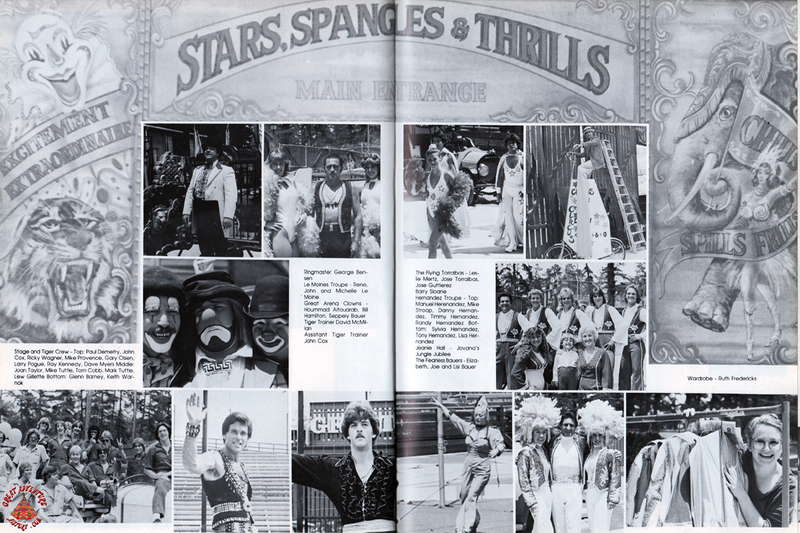 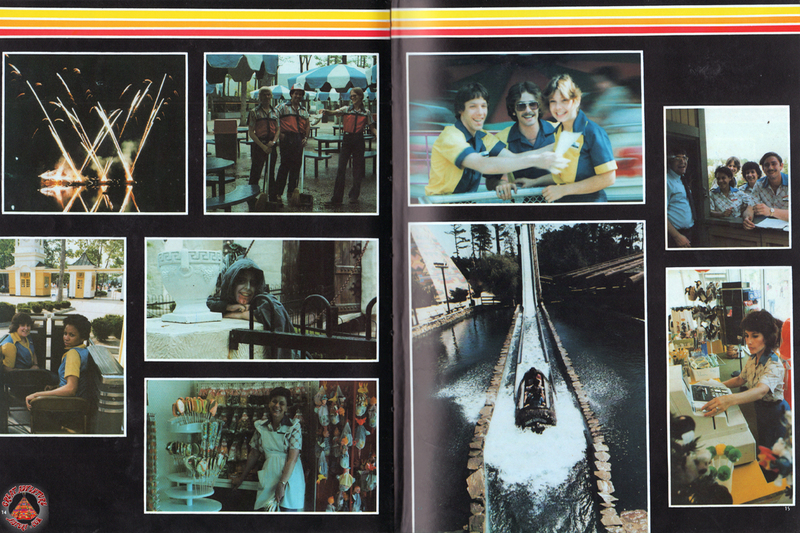 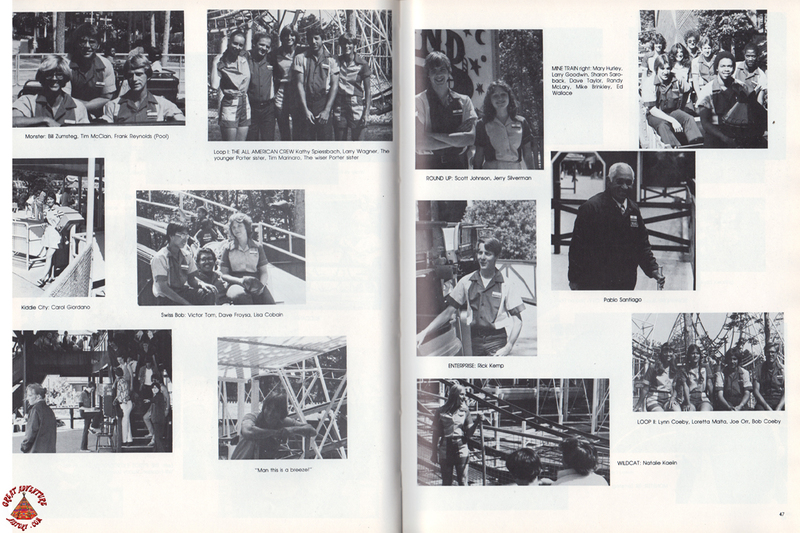 Just added to 1980 Yearbook is a vintage issue of the employee newsletter The Good Ol' Summer Times. 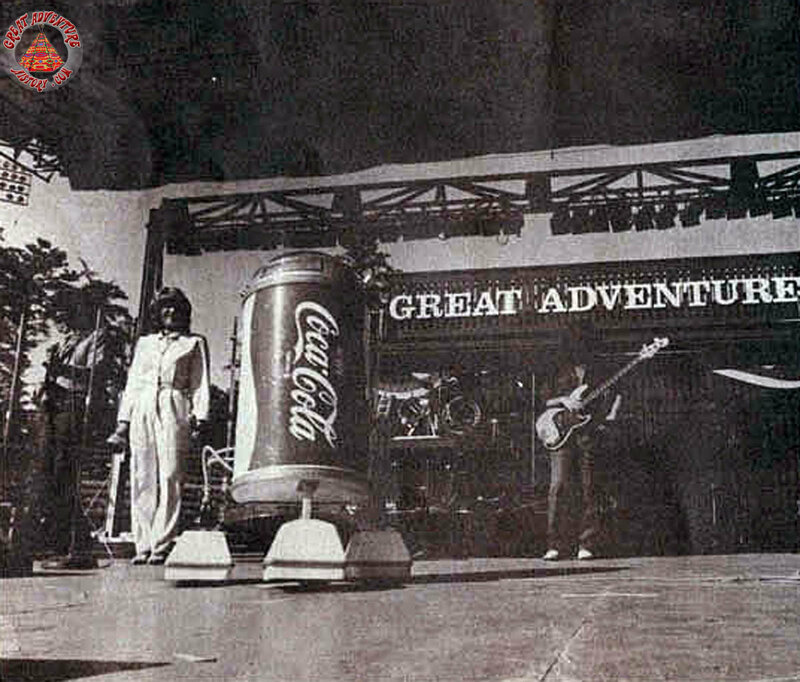 Click to read the newsletter including an article on the park's long gone Coca-Cola robot!